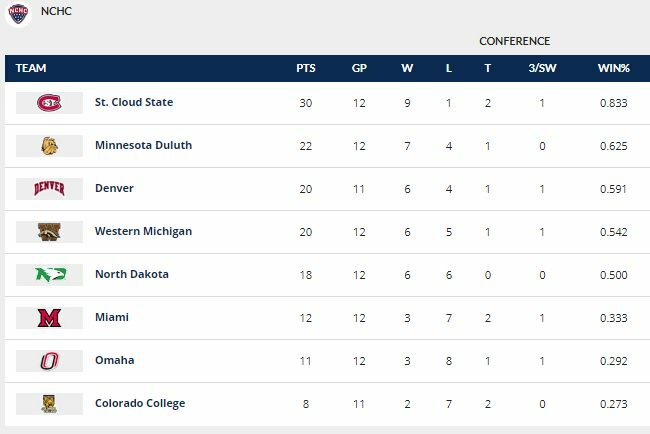 ALL EIGHT NCHC TEAMS IN ACTION, HIGHLIGHTED BY THE GOLD PAN RIVALRY AND A TOP-10 BATTLE FOR FIRST PLACE BETWEEN WMU AND SCSU. 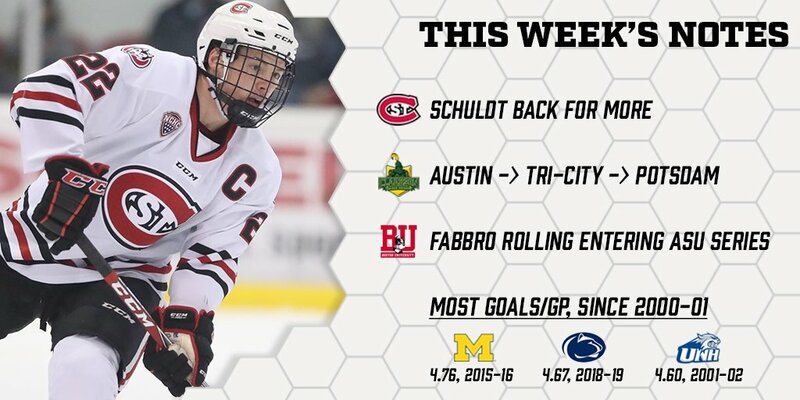 It's a great morning to vote for @SCSUHUSKIES_MH Jimmy Schuldt for Hobey! Keep on voting Huskies fans! Hockey Day doing a presentation on the Andover Head Coach Mark Manney piloting Air Force One (Clinton and Bush) with a lot of little clips by Andover Asst Coach Brett Barta former Husky 2007-11. 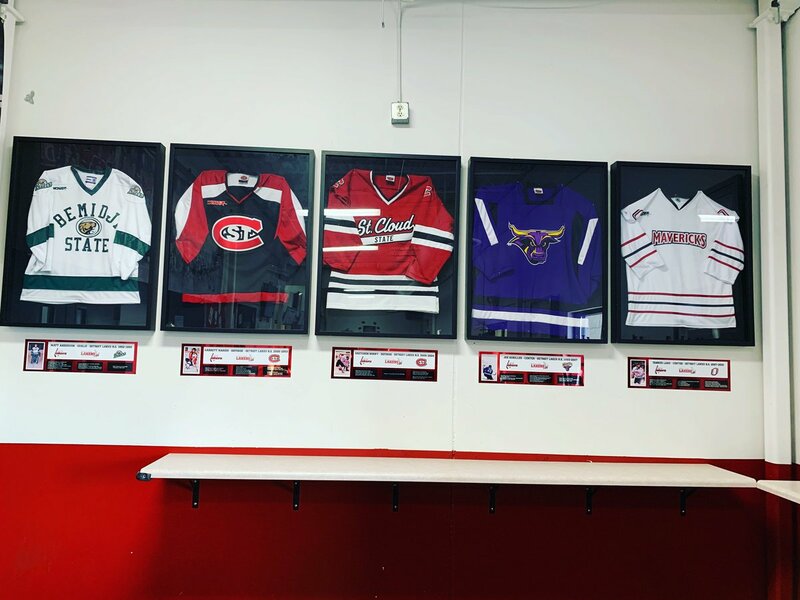 @hphky feature on @SCSUHUSKIES_MH junior forward Ryan Poehling. Vote! Vote! Vote! 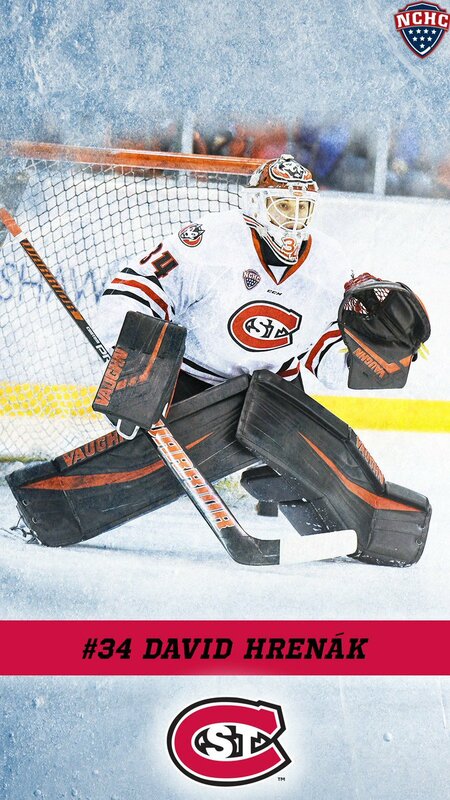 - Vote for @HobeyBakerAward/Vote for @SCSUHUSKIES_MH Jimmy Schuldt tonight! 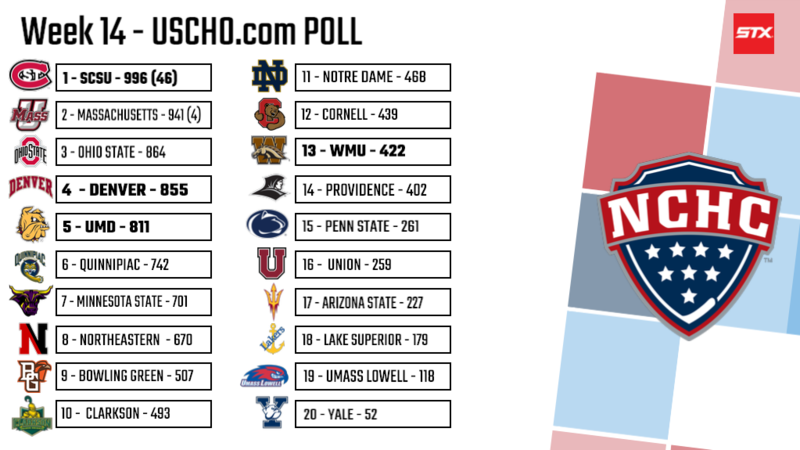 With 46 1st place votes, your @SCSUHUSKIES_MH move back to the top of the @USCHO DI men's hockey poll this week! 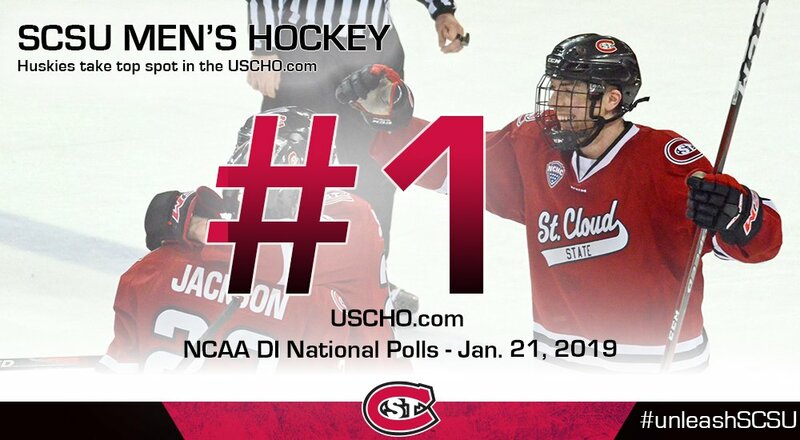 The Huskies are back to #1 in the @USCHO.com Poll! 4 #NCHCHockey teams are ranked. Jack Poehling, Jr., F, SCSU – Led all NCHC scorers with five points in a sweep of WMU, scoring an empty-net goal both nights, while assisting on the game-winner Friday and adding two more helpers Saturday. Micah Miller, Fr., F, SCSU – Scored the first two goals of his career in a sweep of WMU, tallying a goal each night. Dávid Hrenák, So., G, SCSU – Backstopped SCSU to a sweep of WMU, posting a .927 save percentage and a 1.50 GAA in the two wins, including a 23-save shutout on Friday. Shouldn't this be in the Committed Recruits thread? Also, former Husky traitors Garrett Pinoniemi and Bryce Brodzinski are listed at 116 and 117 respectively. Duluth East's Ryder Donovan is listed, and I'm sure Larson has been in touch, but the prevailing rumor is that he'll be a Bulldog or a Badger. No good sources on that, however. One uncommitted Finn (Maccelli) is listed as well. Doubtful that the Huskies are in the running for him, but I figured I'd mention it. Another interesting prospect is a youngster from Thunder Bay (Keighan Gerrie) tearing up a crappy junior league (SIJHL). Curious to see where he lands. I would imagine a Minnesota team would be a preferred destination. Yes it should, sorry... I can cut and paste this there. 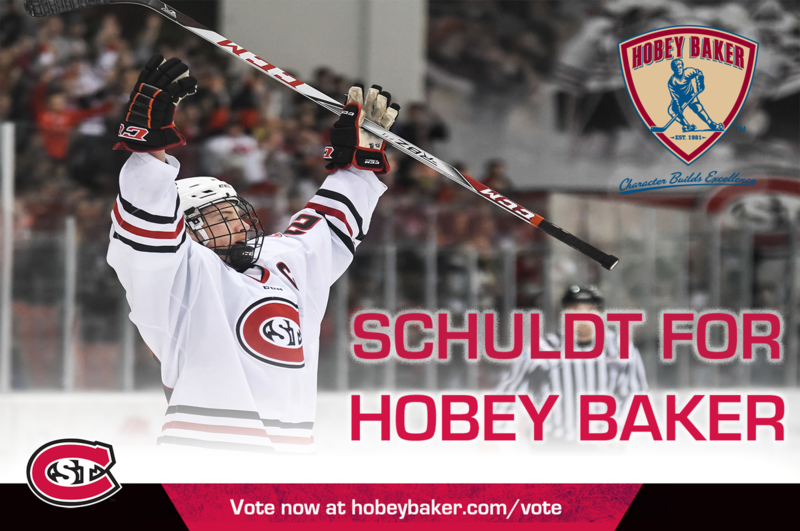 Just another reminder to vote today for @SCSUHUSKIES_MH on the Vote for @HobeyBakerAward fan poll. Every vote counts. And CHN's Team of the Week. “You want to be happy, but all of a sudden it hits you you're going into North Dakota, one of the toughest places to play in college hockey," Larsons said. "We know if we don't bring our best game, there's a good chance we'll get beat. So you don't have a lot of time to rest on your laurels." More Brad E. Schlossman Retweeted College Hockey Inc.
Had someone ask when the last time a team had the NCAAs No. 1 overall seed in back-to-back years. We talk about that on this week's podcast.